Research shows that companies who base their inbound marketing activities on a written strategy secure greater success. But knowing what that strategy should cover requires some thought. Here at Red-Fern Media, we’ve done the thinking for you and pulled together this guide to help you create the ultimate inbound marketing plan. If your business wants to head north at a gallop but your marketing is taking you south at a canter, it’s time to grab the reigns and take back control. All good marketing strategies start by aligning marketing goals to business goals. By establishing where your organisation is now and where it wants to go, you’ll be able to set stretching but realistic business and revenue goals. And as you attain each milestone, you’ll gather momentum and realise your plan without burning out. While you probably feel you know your customers inside out, inbound marketing requires a deeper understanding. Effective inbound strategies are constructed around buyer personas, fictional characters that represent your preferred customers. These identities should be based on market research and hard facts to help you identify how best to attract, engage, close and delight your prospects. For maximum impact, your marketing plan should explore the different stages of your buyer’s journey from browsing, thinking about making a purchase to being ready to buy. Combine each customer persona with each stage of awareness to generate a palette of effective content that will nudge your prospects in the right direction. The Red-Fern Media Inbound Marketing Blueprint shows you exactly how to do this. Understanding the words your customers use when searching for your product or service is vital. Your inbound marketing plan should identify individual words and combinations of words to help your prospects find your content and website. Align the right keywords to the right product/service, analyse performance and fine-tune for best results. No man is an island and no marketing strategy is fully effective on its own. You’ll need to look at how you attract leads and how these leads are passed on to your sales team. But don’t stop there: Close the loop by ensuring your sales team are familiar with your content and your marketing messages. This will help them provide consistent messaging and a seamless service to customers. Analyse the time it takes to convert leads and feed this back into your marketing plan so you can arm your sales team with the information they need to close sales more quickly and effectively. At Red-Fern Media, we’re experts in developing effective websites and redesign strategies. But before we do anything for our clients, we need to understand the current effectiveness of their website. Your inbound plan should do the same. Establish how many people visit and how many leads you’re generating to provide a benchmark so you can measure the impact of your marketing strategy once implemented. Benchmark against your competitors’ sites to identify any gaps and update your website to ensure customers can find whatever they need. Thinking ahead is critical to success. 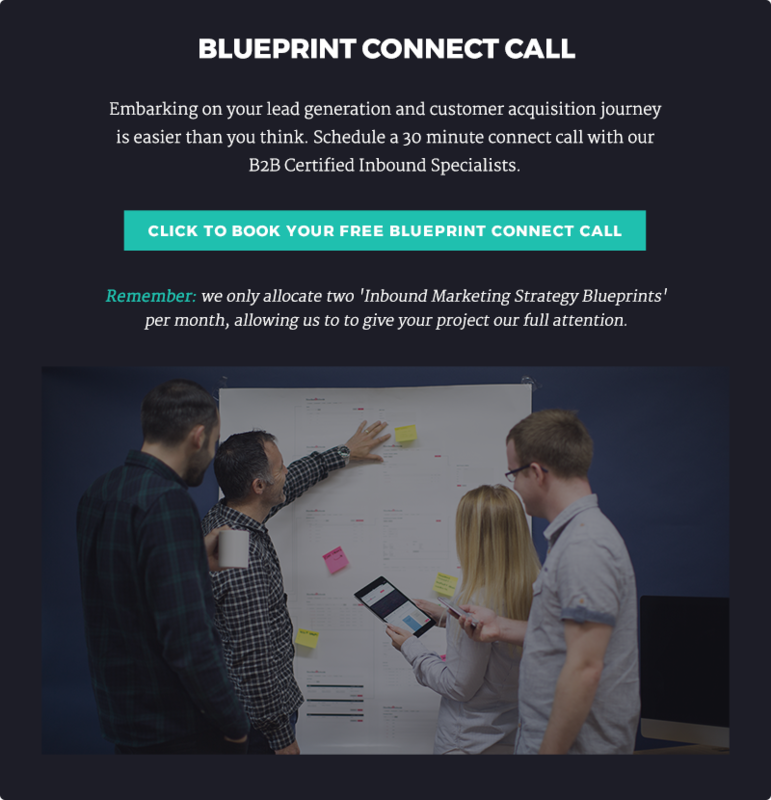 A three-month plan will give you the overall vision, goals and structure you need to start your inbound marketing campaign and keep it on track. It’s also short-term enough to allow you to adapt and flex as you generate insights into what works. The best inbound marketing strategies are like Russian dolls with plans within plans. Generate detailed 12-week campaign guides to help you organise and execute every campaign you run effectively. If generating content ideas has been a problem in the past, use your SEO keywords as the basis for a brainstorming session. The aim? To produce blog post headlines and summaries that will keep the SEO content coming. There’s a lot of talk about ‘meaningful content’ but what does that look like and how do you write it? Create a guide that steers your content writers in the right direction. It should take you through the do’s and don’ts of content creation to deliver useful materials that will capture your customers. Enticing prospects with free giveaways is a good way to build your mailing list. But deliver premium content and you’ll gain more than emails. Items, such as e-books, can be a valuable resource for customers that will place you in their minds as an authority who can be trusted and would be good to do business with. Premium content needs to be planned well in advance to ensure you have useful, quality content when you need it. Sending automated emails makes the best use of digital technology. But send the wrong email at the wrong time, and you’ll waste your time and stand a good chance of annoying your customer. The best inbound marketing strategies plan to provide the right content at the right time in their buyer’s journey. Get this right and you’ll earn improved engagement and increased sales. We’ve discussed generating the right mix of article types to attract, engage and close your prospects at different stages of their sales journey. Now get best results from your content by scheduling posts on the most relevant social media platforms for your audience. Planning your content in this way will help keep you on schedule and allow you to be flexible so you can react to any emerging topics and trends. A strong inbound strategy should always be vigilant. Assess your website traffic to see how visitors are really using your website and develop an understanding of your users’ behaviour. Once you know what works best, you can make the right tweaks to turn more visitors into customers. Good inbound marketing strategies are supported by software that improves your efficiency, helps you track the effectiveness of your campaigns and make corrections to increase ROI. There’s more software out there than you can shake a stick at; your marketing strategy blueprint should establish what data you need to support continuous improvement and you find the best provider to achieve this. With more companies taking an inbound marketing approach than ever before, establishing an effective inbound strategy has never been more important. Ready to create your own inbound marketing plan but need support?